Dairy products with high protein content are an ongoing international top trend. 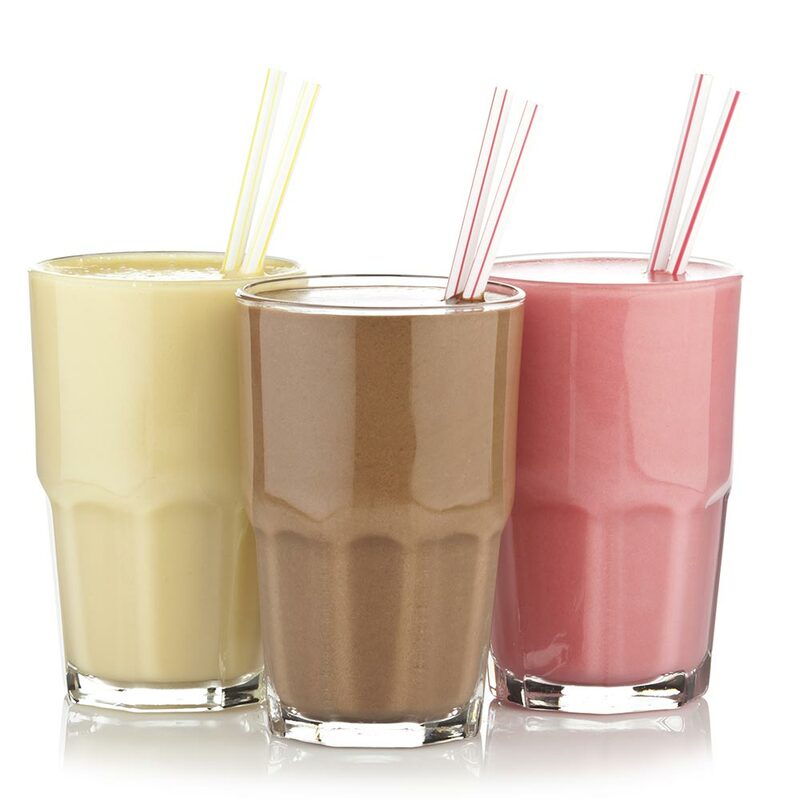 With our stabilising and texturing systems, you can make great tasting high protein products. More and more people are eating vegan. And consumers don’t want to make any compromises on flavour, texture or enjoyment. 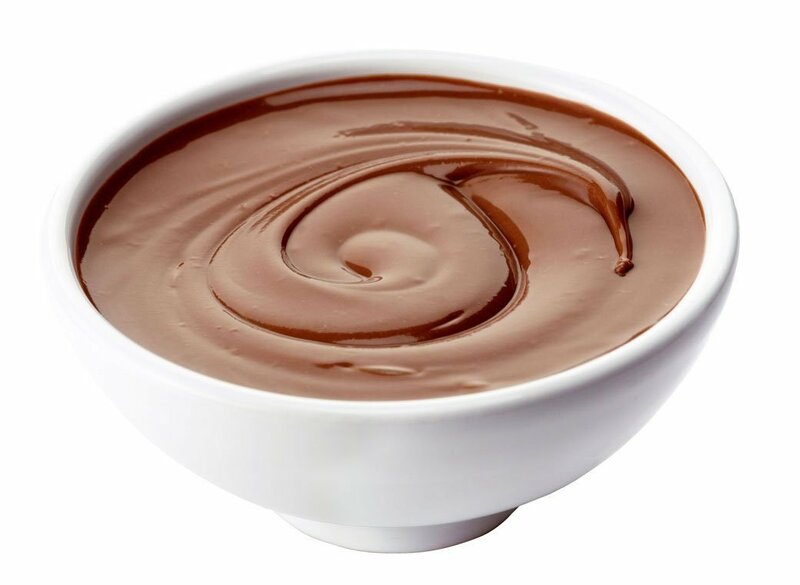 With our individual stabilising and texturing systems, we work with you to develop real alternatives to milk, cheese, cream cheese, yogurt, ice cream and cream. In cheese manufacture, large amounts of whey are created as a by-product. We offer attractive solutions for turning acid whey into high-quality dairy products. Every country has its own food specialities. With our stabilising and texturing systems we can develop individual products for any market. One example is the breakfast cream that is so popular in the Near East. With minor adjustments in colour and texture, it also appeals to Eastern European consumers. In developing our stabilising systems we pay close attention to current market trends. At least equally important for our products’ success is our long experience in working with milk as a raw material. Milk is a very complex food – a balanced system of proteins, fat, carbohydrates and salts. When working with additives it is important to maintain this balance. Another factor is the different expectations of international markets. Manufacturing technology continues to progress, especially with fermented milk products, and rising expectations make the differentiation of milk protein fractions ever more important. It takes a great deal of experience to choose just the protein fraction that works in a complementary way with other substances to come together as an effective functional system. Selected binders let us create improved texture while avoiding phase separation and syneresis. Almost daily, Hydrosol develops new, tailor-made stabilising systems for all kinds of milk-based products to meet the most rigorous demands in terms of quality, economy and production methods. We will be glad to develop a custom solution for you – ask us! We attach great importance to consulting quality, and we take time for you. As specialists for individual solutions, we aren’t satisfied until we’ve achieved the best possible results for you. Nobody likes spam. We don’t either. So we only want to send you information you’re really interested in. Here you can choose the newsletters you’re interested in. From time to time we’ll send you information by post or e-mail on our new products and services. Select as many as you like. I’d like to be informed by e-mail on new Hydrosol products and service. I also wish to receive all additional information that Hydrosol sends by post (newsletter, special editions, new brochures and flyers). 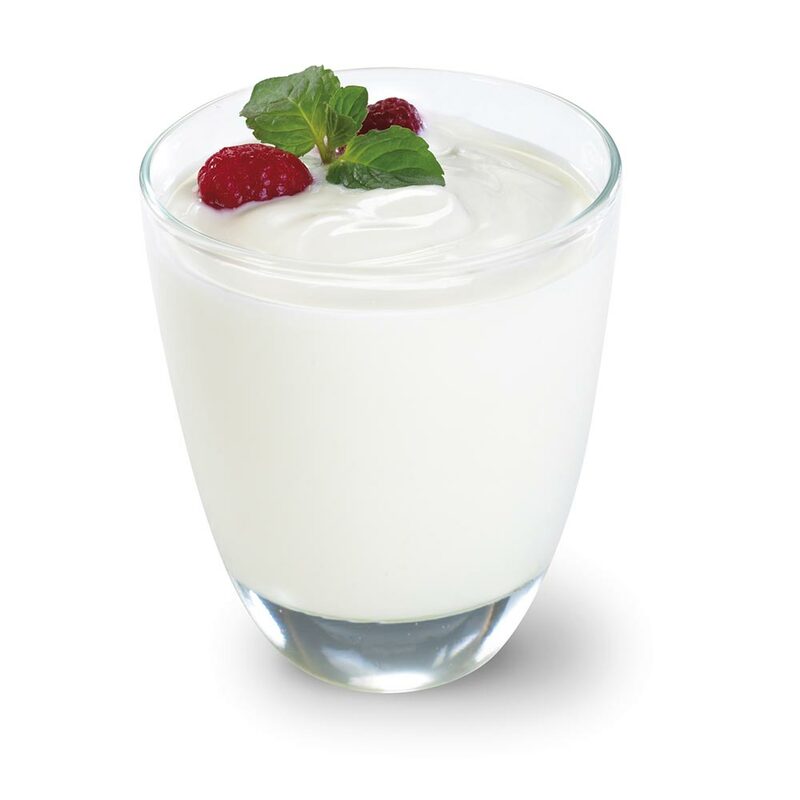 In cultured milk products, Hydrosol improves process stability and adjusts the desired product characteristics – creaminess, full mouth feel and fine flavour are the hallmarks of our systems. Our Hydrobest series all-in compounds offer simple use, low-cost manufacture and appealing taste sensations. Except for milk and sugar, they contain everything needed to make delicious milk drinks, including the desired flavourings. In addition, all of our stabilising systems give a homogeneous suspension. Whipped cream toppings are a special stabilisation challenge. Our ingredient combinations improve the consistency, whipping behaviour and foam stability of toppings. For cooking cream, we use special binders that prevent precipitation caused by acidity or heat. Dairy desserts come in many different forms, from puddings and crèmes to fluffy mousses to fruit desserts. 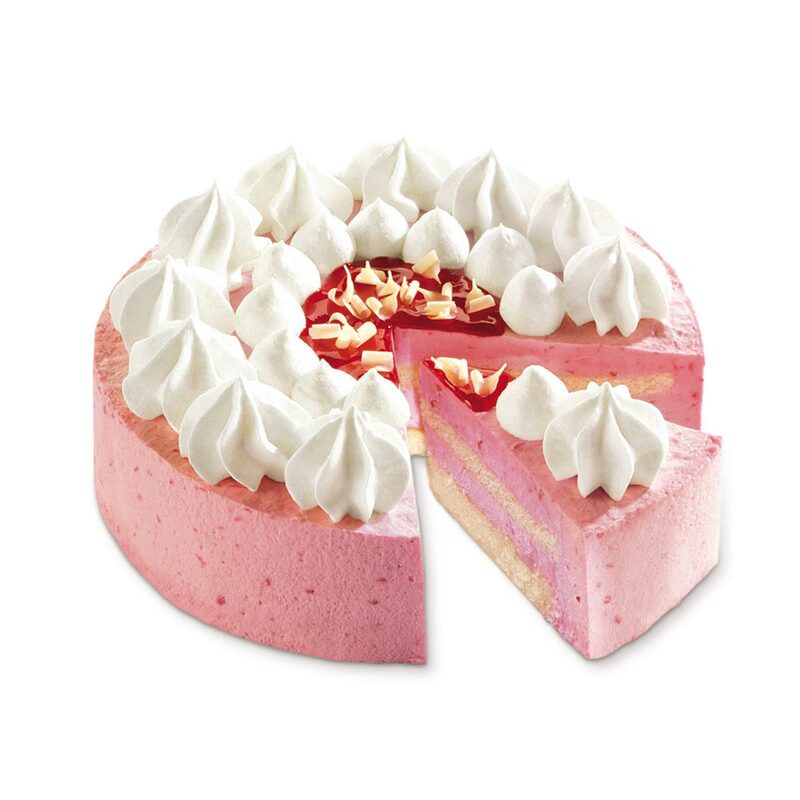 Our stabilising systems let you precisely adjust the consistency of your dessert treat. Have an appetite for innovative dairy products? 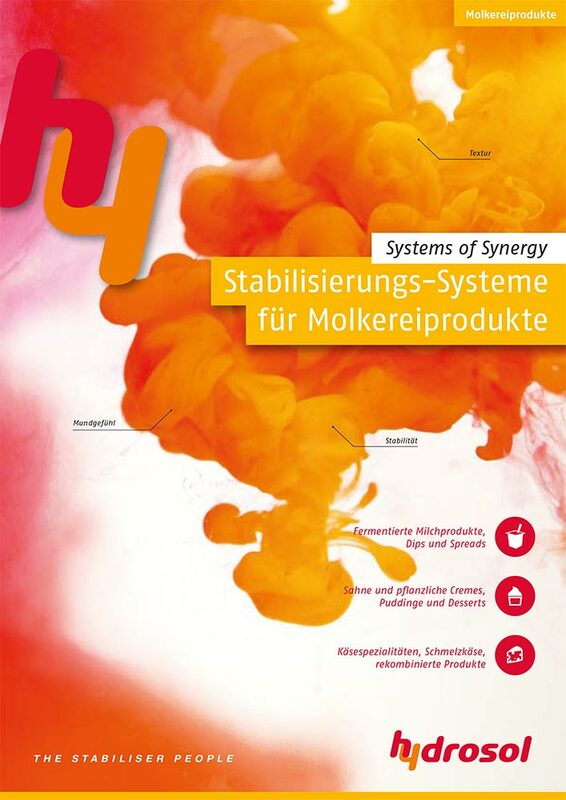 Order our brochure on stabiliser and emulsifier systems for dairy products and let yourself be inspired. Texturing systems for dairy products!